Friends, Family, and Pumpkins, oh my! You guys, I promise we haven’t dropped off the face of the planet. The past few weeks have just been b-a-n-a-n-a-s and I’m going to tell you all about it. Let’s start with, what else? Pumpkins! A few years ago, the DC Metro commuter newspaper featured a picture of people racing in huge pumpkins in Ludwigsburg, Germany. Because…of course they do. I told Jer that if we ever made it out here again, that we would have to attend this glorious occasion. When I found out the pumpkin regatta at the Ludwigsburg Pumpkin Festival was to be held on one of our only free weekends in September, I decided it was fate. So we rented a car and drove 3 hours to check out this spectacle. And it did not disappoint. Well, allow me to qualify that…if you are a pumpkin fan such as myself (who had an annual Pumpkin Day with her girlfriends back home), it did not disappoint. There were sculptures made out of lots of small pumpkins, intricate carvings and displays, pumpkin-everything for food…just pumpkins pumpkins pumpkins everywhere! The week after the pumpkin-fest, we headed off to Berlin. To be short and sweet about it…Berlin was simply awesome and it probably deserves its own post but it will likely not get one because you know…time. I think it can be summed up with food, beer, food, walking tour, food, beer, chocolate, wine, not running the marathon, beer. Oh and we finally got to sleep in past 4am for once (fat cat is about to run out of all nine lives if she doesn’t stop waking me up to eat). I did not have high expectations for this trip but we walked away totally in love with the city. I hope we get a chance to go back soon. The day after we got back from Berlin, my dearests came to visit! It was the week I had been waiting for all year long. Lori and Chris came out first and stayed with us for a few days and then Gwen and Walt came in the middle of the week. 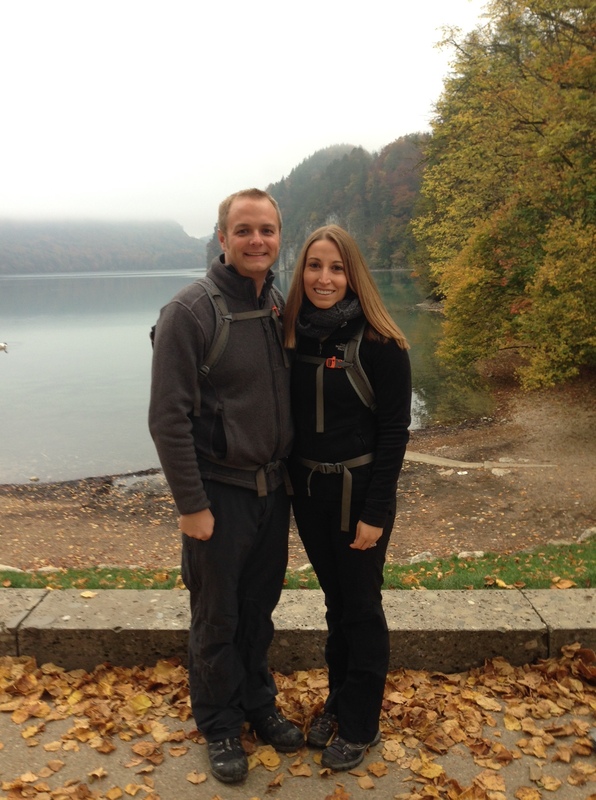 We had a packed itinerary that included all the local sights, a hike out at Tegernsee, Dachau, and of course Oktoberfest for a day. The Fest was good times (as per usual) but surprisingly, it was the tamest one we have been to thus far. It might be because our table was up in the balcony area, which is not ideal if you want to get rowdy. But all in the all the week was great and it was so nice to be reunited. It just went by way too fast. At the end of the week, Lori and Chris went home and Jer and I went with Gwalter to Strasbourg, a super cute town on the border of France/Germany. We were all really tired from the week’s shenanigans and both Walter and I were coming down with something so it was a fairly lowkey weekend. We went on a half day wine tour and I got to add more bottles to my wine collection. This region specializes in white wine and the best part was that they were cheap! I had to blink several times when I realized you could buy bottles for 5€. Those are Franzia prices, not vineyard prices! Will definitely be heading back to Alsace in the future. A few days after we wished Gwalter a fond trip to Paris, Jerry’s mom, aunt, mom’s cousin, and their 3rd cousin or 1st cousin a million times removed or something (I dont know how it all works – the point is they were family, k?) came to visit. 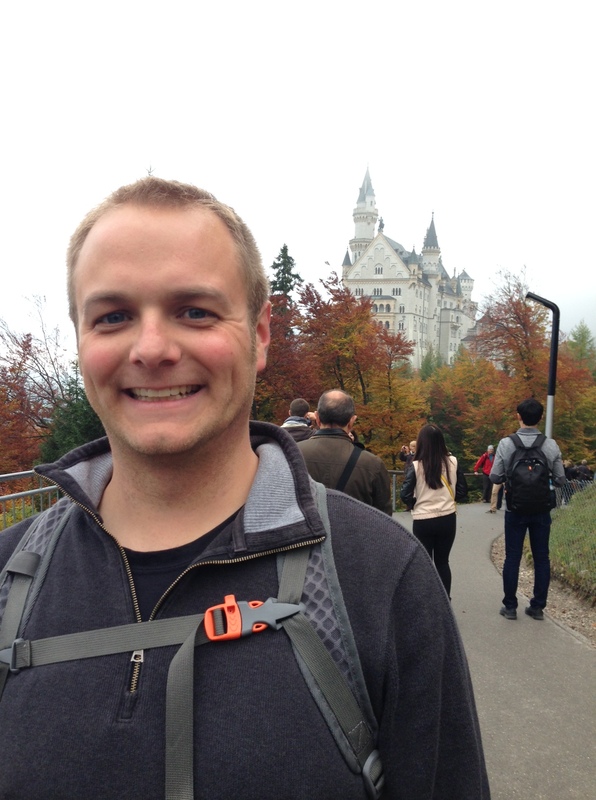 We took them sight seeing around Munich then it was day trip-central up in here. 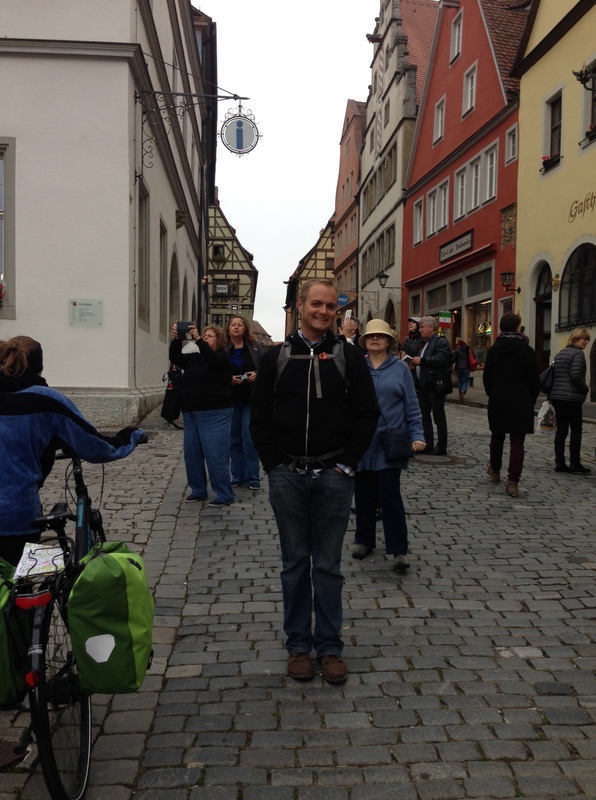 We took them to some of our favorite areas, including Rothenburg ob der Tauber, the King’s Castles, and Salzburg. Tired yet? Me too. Actually, while it was exhausting, it was so nice to have family around. It really was. Plus it was really cool to get to show off our fair city. You are around the sights so often that its easy to forget how beautiful this city really is sometimes. Then last weekend (yes there’s more), we moved apartments. Unfortunately our previous landlord did not want to extend the lease because she wants to give the apartment to her son, so we got the boot. Over the summer we found a small furnished place in the Rotkreuzplatz area and last weekend we finally moved in, thanks to the huge help of our local friends who have cars and are nice enough to spend a rainy Sunday moving our crap across town. You guys are the best. Unfortunately, between errands and German class taking up most of this week, we just haven’t been home so all of our stuff is still in suitcases strewn about the apartment. Then tomorrow we fly to Nice to meet our dear friends Jeff and Ashlyn who will be taking their honeymoon through the Mediterranean. We haven’t seen them in five years so I am super excited to catch up, not to mention getting the chance to check out another city in France. So it’s been busy and it will be nice when we can catch our breath but I look back very fondly on these past few weeks. We have gotten to spend quality time with friends and family and to travel to both new and familiar places, and that’s not too shabby. LOVE the update! Makes me want to visit ASAP!!! Thanks lady!!! You are welcome anytime!!!!!! Would love to have you!